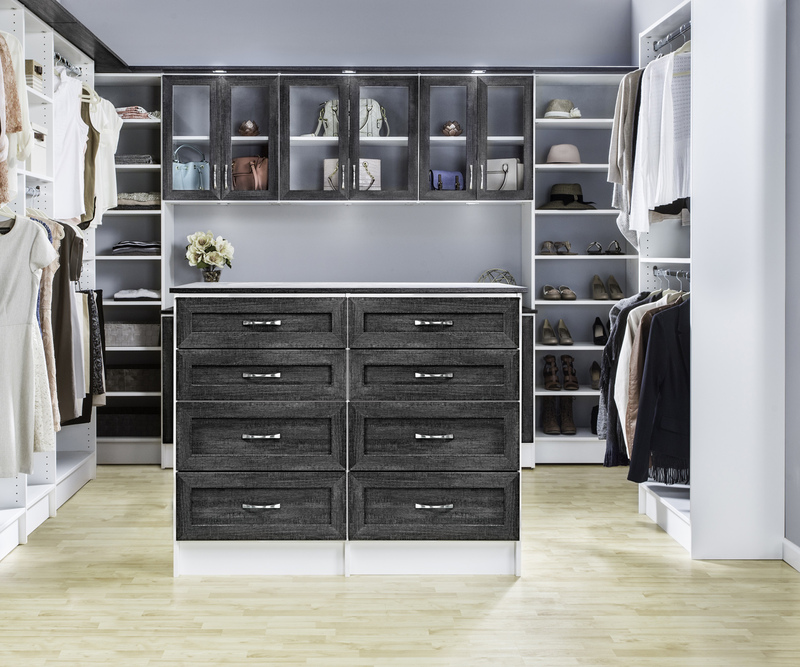 Wood Products Manuacturing in the U.S.
Part I: Choose and target your customers. Asking some basic questions about your U.S. or export customers is essential to get up to speed. â¢ Do you know who your target customers are? â¢ Are your sales and marketing efforts structured to serve these customers? â¢ Do you know their preferences or requirements? â¢ Is your manufacturing strategy designed to meet these requirements? â¢ Is your shop or plant set up to implement this strategy? â¢ Does everyone in your company understand this strategy? â¢ How can you ensure its successful implementation? As we have rushed into the 21st century, we have seen tremendous changes taking place all around us at death-defying speed. I am reminded of Joseph Kittingerâs record-breaking high-altitude jump on Aug. 16, 1960. That record of 102,800 feet, and free-fall speeds up to 614 miles per hour (approaching the speed of sound), still stands today. When you look at the photo of him jumping from the balloon, let it be a reminder of the daring speed at which the wood products industry has evolved in the past few years. Industry in America has become very complex and highly competitive, almost requiring a new word to describe it â complexitive. We are in an environment that requires us to constantly re-think the way we do business. During the next few months, I will explore a common sense approach for growth for the U.S. wood products industry. Any time you talk about a global economy or global market you must look at your domestic opportunities, while not forgetting to take a serious look at potential export markets for your own goods and services. This is the starting point and the Management Matter for this month. There are many that are hurting during the current slowdown in the housing market and weak economy. There is no denying it â there is simply less demand for our wood products and this is likely to continue for a while. It is always tough to adjust to such a slowdown of this magnitude. However, there are some companies in all wood products sectors that are doing quite well despite all of the negative news. In fact, some are experiencing growth while some of their competitors are barely hanging in there. Forecasters like Kiplinger are predicting only 1.0 percent growth in the GDP this year and 1.5 percent next year, with unemployment continuing to rise through next yearâs recovery period. In April I wrote about basically making a decision not to fall prey to competitors, but to become the predator and aggressively go after new markets. Three options were offered: first, you can worry and sulk and see only doom and gloom â and it will come to your company; second, you can struggle to survive like most are doing; or third, you can become determined to choose a strategy of rapid change in the way you are doing business. This series will focus on the third option because it is the one that will allow you to keep up with the fast pace of our industry. There was a time when manufacturers thought that âMade in the USAâ stamped on a product would be reason enough for patriotic Americans to buy their products. This was and still is naÃ¯ve, to say the least. Of course most of us would like to help save American jobs through our buying habits, but basic human nature prompts us to put our own priorities and requirements first when shopping. Sometimes these decisions boil down to the lowest cost products because we want to stretch every dollar â not to save and invest for our future, but so we can buy even more. Everyone has a hot button that triggers a purchase â even if it results in impulse buying. While most readers of this column are already totally focused on the U.S. market, the majority of continue to overlook a key step in an effective marketing strategy. The trick is to target a group of customers who share similar requirements and to design your products and services to meet those needs. Simply put: Make what your current and future customers want. An essential exercise you need to engage in immediately is to gather your key manufacturing and marketing people and perform a complete in-depth audit of your current sales and marketing strategy. In the sidebar below are just a few of the questions which can provide the information needed for you to make the changes necessary to become a supplier of choice during these challenging times. Another question to ask after you feel you have a hand on the domestic market is: Should you be exporting? Like Joseph Kittinger with his record-breaking jump, is your company ready to take the plunge? In a recent global intelligence briefing for CEOs, former Reagan Administration Assistant Herbert E. Meyer reported that during the last 20 years, China has moved 250 million people from farms and villages into cities, with plans to move another 300 million in the next 20 years. When I wrote this column, the U.S. Census Dept.âs estimate of the U.S. population was 304,417,692. That means that by 2028, an additional market roughly equal to todayâs total U.S. population will enter the Chinese workforce and/or consumer market. Upon hearing these predictions, many see all of these people making wood products and shipping them to markets in the United States. If you are one of these, you need to look at this from a different perspective. Go back to the statistics above. While additional people are relocated from farms in China, the first 250 million already moved will have increased their earnings and their ability to buy. Not all of Chinaâs emerging middle class will want Chinese made furniture or other wood products. Some of them will want furniture made elsewhere. If you plan for your company to be around for the next decade or beyond, you need to take this opportunity seriously and begin to formulate a strategy to capitalize on it. China is not alone. India, South America and Africa will be going through a similar transformation. Also, the weak dollar is projected to continue to offer great export opportunities to the European community as the demand for U.S. products continues. Yes, the world markets are changing â and you cannot ignore this opportunity of a lifetime. Often companies think they are too small to get into exporting. They think they do not have the resources, knowledge or skills to venture into exporting. You can start by going to your stateâs Department of Economic Development to learn how to export your products. You will need to study the markets and ask the same questions as in the earlier exercise. You do not have to go it alone. Find a non-competing associate to join with you in this venture and encourage your trade association to become more proactive. As previously mentioned, the motivation for someone to buy your products or service depends on how closely you meet their unique requirements. Thus, we are back to the key point, that every successful company must have a target market that consists of those who are looking for products with features and service that they provide. It is not rocket science, but I see this issue ignored in every sector of our industry around the world. Admittedly, imports have taken a big chunk of business in the United States, mainly because of our own greed for cheaper products. The U.S. wood products market may indeed be shrinking, but perhaps imports also will slow down because of increasing transportation costs that rise 1 percent for every dollar increase in oil. 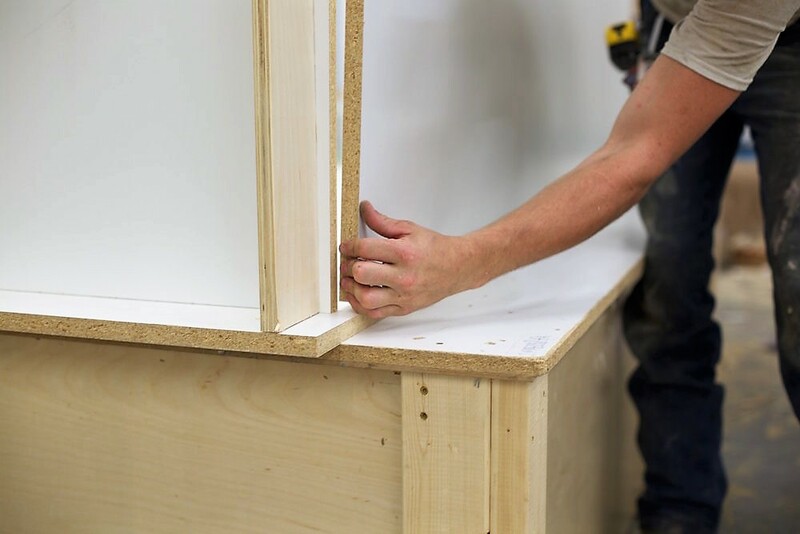 We should be looking beyond that to the huge emerging markets requiring home furnishings, store fixtures, office furniture, wood parts and sub-assemblies, raw materials, services and a host of other opportunities for U.S. wood products manufacturers and businesses. We can rebuild our industry in the midst of what some perceive as a shrinking market â but we have to take the global plunge. 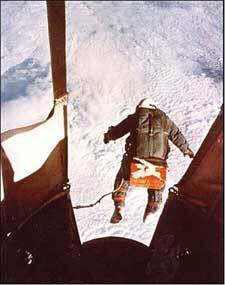 Go back one more time and look at the photo of Kittinger making that risky dive and picture yourself and your company jumping out of your cozy gondola to take the business ride of your life. Expansion into new markets or to gain market share in an existing market always begs a critical question every company must answer: âWhy would a customer buy my product instead of a similar one from someone else?â The answer is: âIt depends,â and we will get into this issue next month. or e-mail tfd@dossenbach.com. Visit his Web site at www.dossenbach.com. Past Management Matters columns are archived here.